Tomorrow concludes another successful season of Upward Basketball at Effort. This was a very busy season with over 160 kids divided into 18 teams that played each week. Upward would not have been possible without our volunteers so we have many people to thank. I would like to thank our refs, our score keepers, announcers, snack bar helpers and our coaches. You made a difference. Without your help we would not have been able to welcome so many families into our facility each week.You made it possible for us to extend the kind of hospitality that honors God to each family who attended this year. The Upward program encourages coaches to share the Salvation message with their players. While we may not see how this ministry is changing lives right away, I believe we have planted seeds in the lives of these children. We are moved to pray that these seeds will mature into a commitment for each of these people to give their lives to Christ. I ask that you would continue to pray for the children and their families that they would remember the love shone on the court and in a building that God has blessed us with so we might share with the community around us. 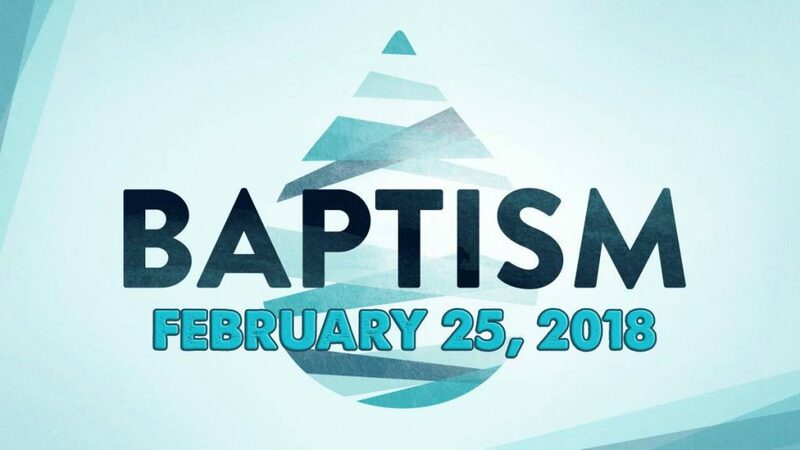 Join us as we celebrate baptisms in the Sanctuary at 12:15 this Sunday. Are you interested in learning more about what goes in to worship services at Effort? From video and audio, to screen presentations, and even musicians…as we continue to expand our ministry into live streaming, we will need more and more volunteers. If you are interested, join us in the FLC after baptisms this Sunday afternoon for lunch and a behind the scenes look at what we do.